Ever think if you can have more stickers to express your mood & share them on social apps like watsapp, viber, fb messenger etc or on social sites like twitter, facebook etc. Even better if you can create them by yourself as you like. If the answer is yes then your waiting has come to end because MySticks is here. 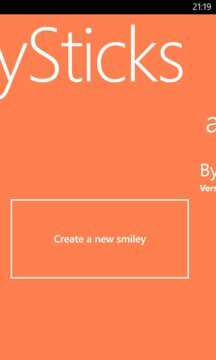 With MySticks you can create custom smilies & share them. Choose face, eyes & mouth to create smilies. 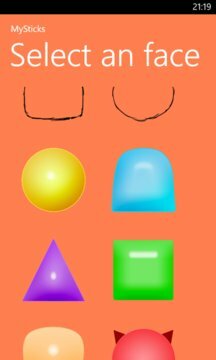 Zoom, rotate or pan objects like mouth & eyes before finalise your smilies. Not only this, if you not want to share your smilies at the time of create, you can also save them for future use. Note- Each smiley are sent as image, to do this application needs to save them as image in mobile's image galley each time you share them.